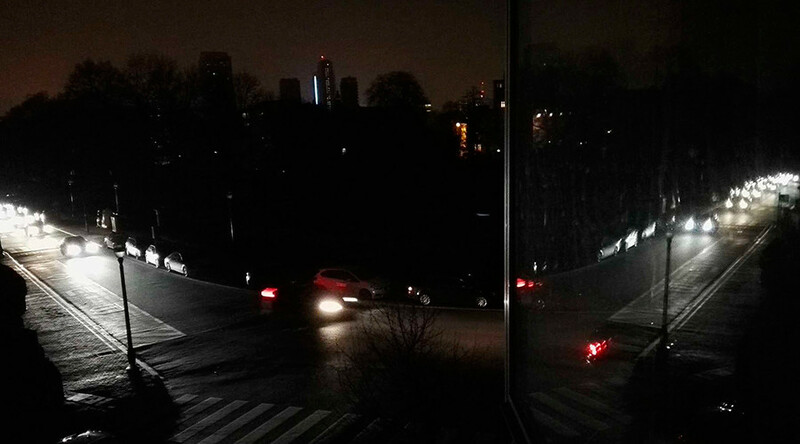 A power failure affecting several areas of the Belgian capital has caused a Twitterstorm with pictures of pitch-black cityscapes. However, it appears that the media got way more apprehensive than Brussels residents as unconfirmed reports of “sirens and police” emerged. The sudden blackout affected the Evere, Schaarbeek and Sint-Lambrechts-Woluwe municipalities of the Brussels-Capital Region, Belgian gas and electricity network provider Sibelga has confirmed. It said the cause of the power failure was not immediately clear. The incident was “not a terrorist attack,” Belgian high-voltage transmission system operator Elia tweeted, but instead “a technical error in one of the high-voltage substations.” The substations have already been fixed and the power will be gradually restored, it said. The blackout in Brussels is not a terrorist attack but a technical error in one of the high-voltage substations. Numerous photos posted on social media showed dark neighborhoods, with a halo emerging from non-affected areas in the distance. Most residents appeared pretty chill about the blackout, with some lighting candles and continuing to work at their laptops, unfazed. Some witnesses responded to the media fuss with tweets and video messages. Can the media abroad stop their sh*t about panic in #Brussels during #poweroutage ? There is no panic whatsoever here!!! Geesh!